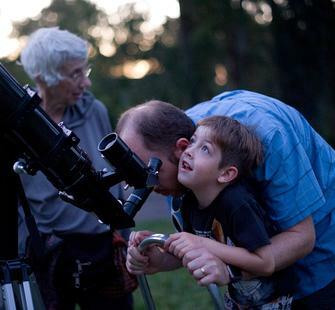 Inspired by our fascination with the night sky and corresponding with the Perseid Meteor Shower, this nighttime summer arts festival will feature an evening full of fun, family-friendly activities, including: telescope viewing of the stars, art making, live performances, and an outdoor movie. For an additional $55 per campsite, guests also have the option to set up their tents and camp out under the stars on our beautiful Great Lawn. The next morning, you will awaken to a hot cup of coffee and a pancake breakfast on the front veranda of the Villa.